Spring is just around the corner. 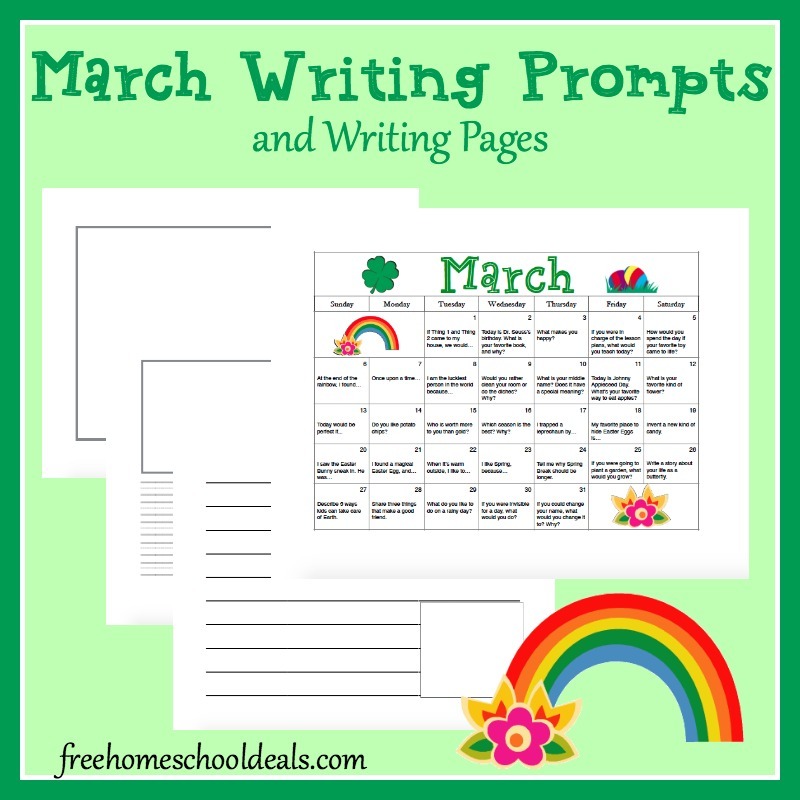 Here’s a fun calendar full of writing prompts for elementary and middle school writers. I’ve also included several different writing pages with drawing boxes and writing lines.